Kim’s note: The Bloggers From Omaha series introduces different voices from around Omaha. Each week Whenever I can, I’ll introduce a different Omaha blogger, what his or her blog is all about, and since I love getting recommendations as much as I love giving them, I’ve asked each person to share some Omaha tips. Today’s blogger, LeAnna at Well Traveled Nebraskan, is on the hunt for all of Nebraska’s most amazing hidden gems. Want to be featured in this series? Let me know! What are the two most popular posts on your blog? What makes them so good? What social media channel are you on the most and why? I actually love Pinterest. I have surprisingly found it to be a great travel research tool for my own personal travels so I love creating Pins that others can also get inspired to find a remarkable pin and say “What!? That’s in Nebraska! ?” You can follow all my pins about Everything Nebraska Travel Related here. You get one hour to spend on writing, where in Omaha do you go? I’m actually really lucky and have a converted bedroom into a home office. My toddler is surprisingly good at knowing that if someone is in the office then that means they are working. For a quick hour of work, I grab a cup of coffee, run upstairs, turn on my favorite Pandora station and get to work! If I must work out of the house, I’m a sucker for Scooter’s!! I’ll take a caramel latte any day! If friends visit from out of town, what three places would you take them to? 1) My first place I like to take visitors is on a “self guided” walking tour downtown. We start at the Lewis and Clark Landing and “The Bob,” make our way through the Heartland of America Park, go on to the Gene Leahy Mall (a stop at the slides is a must!) and then go and wander through the Old Market, ending in a great dinner or lunch at any of the local favorites. 2) Depending on where they are from, as corny as it sounds, I love taking them to Runza for a lunch! It’s just something so “Nebraskan” that you don’t find elsewhere! 3) Having lived in Germany for six years, we are a sucker for a good beer. It’s great to take friends out to a local brewery and show the “hipster” side of Omaha! 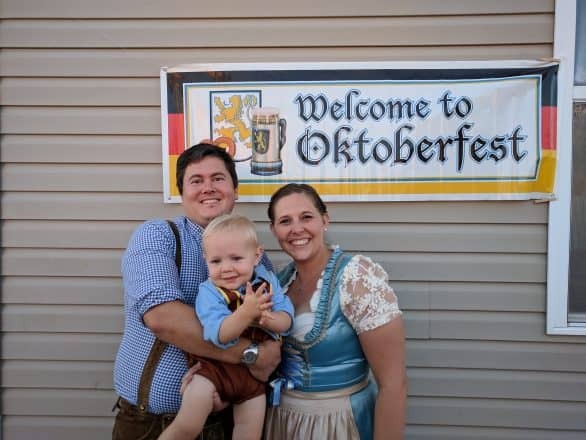 (In fact, we loved our time in Germany so much that we’ve even started an annual “Oktoberfest” at our house here in Omaha, complete with Liederhosen, polka music and home-made Bavarian pretzels! It’s a great way to supplement all the other amazing Oktoberfests (Gerda’s, American German Society, Huber-Haus, etc). What’s your favorite free thing to do in Omaha? This is actually SO hard for me to choose! I LOVE Omaha in the summer because there are just so many free things to do from Jazz on the Green to fantastic farmer’s markets. But honestly, I love finding some really awesome paths around local lakes right here in the heart of the city like Shadow Lake, Zorinsky and more. It feels so great to “get away” from the city at times and have a moment with nature without the long drive! As a born and raised proud Omahan, LeAnna has had the opportunity to live and travel throughout the world. But even through all the amazing adventures, she still calls Omaha her “Homaha!” After learning so much about travel, it is now her passion to help fellow Nebraskans see that amazing travel, experiences and memories are right here in our own backyard of Nebraska. 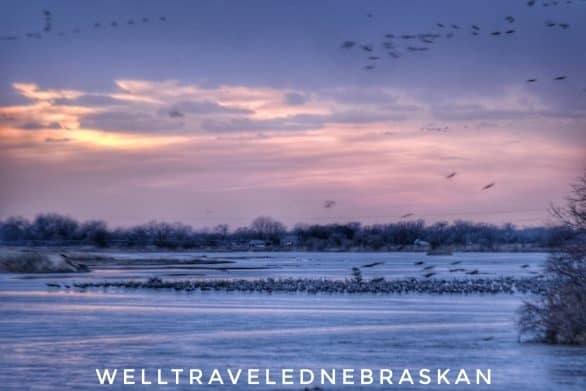 She shares these experiences and how-tos at Well Traveled Nebraskan, where you’ll be shocked and inspired with what is possible right here in the Cornhusker State! Kim’s note: The Bloggers From Omaha series introduces different voices from around Omaha. Each week Whenever I can, I’ll introduce a different Omaha blogger, what his or her blog is all about, and since I love getting recommendations as much as I love giving them, I’ve asked each person to share some Omaha tips. Today’s blogger, Jenna at The Beaspora, seeks out inspiring people helping to using their creativity to make the Midwest a better place. Celebrating pollinators of world-class talent. For Women’s History Month, I’ve been doing a series of posts on women entrepreneurs in Omaha, and two of these, Nebraska’s Women Pastry Chef Revolution and Empowered By Great Design are my two most popular posts. They showcase exactly what inspired me to start the blog in the first place: there are a lot of people in smaller cities across America with serious talent and experience. They come (or, more often, come back) to cities like Omaha because it’s a more affordable place to take a chance on owning a business, and because of the incredible support communities like ours give to small businesses. The women I spoke to gave me the most amazing quotes. Their perspective was really thoughtful and personal, and I felt incredibly honored that they were willing to share it with me and my readers. My preference is Instagram. On Facebook and Twitter, it’s information overload. On Instagram, it’s inspiration overload — and I’d much rather have that. I have this fantasy that I’d go to Wilson & Washburn because I saw a friend working there once and it just seemed like a cool thing to do. But I’m so easily distracted that I almost have to work at home in my office. – I don’t think we’ve ever had a visitor that we didn’t take to Dante. Having dinner there is like spending an evening in Italy, but because they source so many of their ingredients locally, my guests can really get a sense of Nebraska’s terroir. – Of course Omaha’s Henry Doorly Zoo and Aquarium. My husband jokes that I’m the best and the worst person to go to the zoo with because I’ve had the opportunity to interview a lot of the keepers (through my day job at Albers Communications) so I totally geek out on their history, their upcoming projects and everything that they do for worldwide conservation. 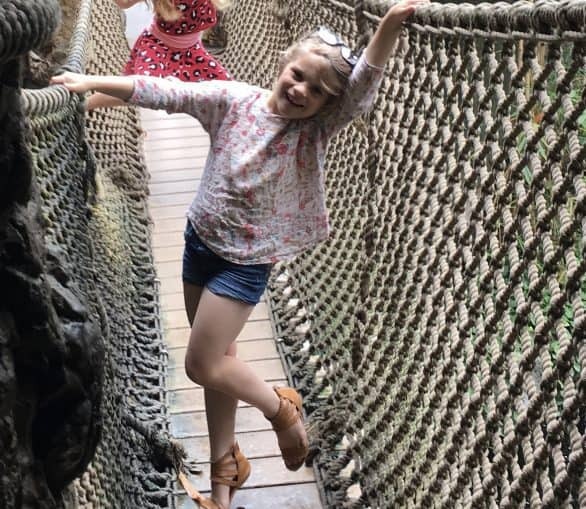 I have a tradition of making everyone pose for a photo on the rope bridge in the Lied Jungle and I’ve been thinking of compiling them all into a photo album for my guest room — in place of a guest book. – Lately, so many fab stores have opened at Countryside Village and I’m really proud to show it off because it’s right in my neighborhood. When my friends visit, we can literally roll out of bed on Saturday morning and shop for drop dead chic shoes, fashion, home design and gifts just around the corner (plus at Among Other Things and Esther’s a stone’s throw away). There’s even yoga and a full-service salon. Later on, we can grab a low-key cocktail at Inkwell or listen to live music at Cedar. There aren’t a lot of places west of midtown Omaha where you can walk to retail, restaurants and entertainment, so we really appreciate having such a quality one nearby. I love to walk around downtown. Want to know what you can find downtown? Start with this post: 11 free things to do in the Old Market. 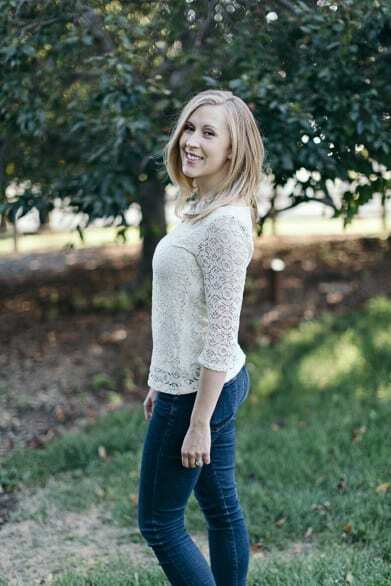 Jenna Gabrial Gallagher grew up in the Midwest and New England reading fashion magazines, and eventually went to work for one (Harper’s Bazaar). 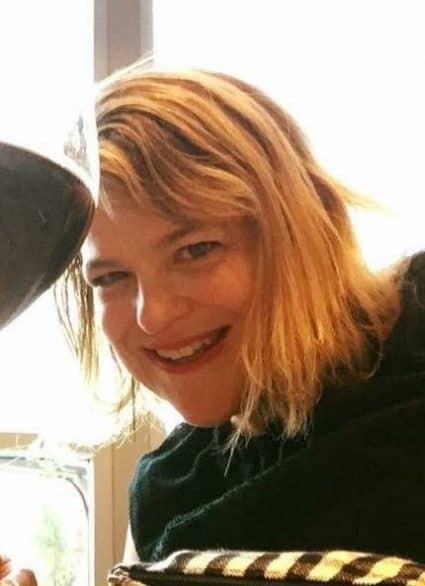 She’s lived in coastal NH, Boston, Paris and New York, and currently writes and edits from Omaha, Neb. where she lives with her husband and three funny little girls. Kim’s note: This is the 20th installment in a series introducing different voices from around Omaha. Each week Whenever I can, I’ll introduce a different Omaha blogger, what his or her blog is all about, and since I love getting recommendations as much as I love giving them, I’ve asked each person to share some Omaha tips. 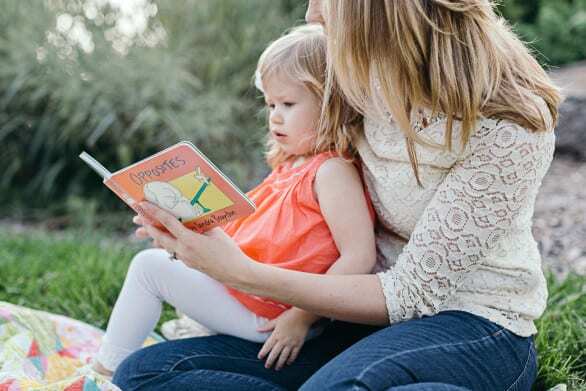 Today’s blogger, Joanna, is a mom of two adorable little girls. Head to her blog for inspiration on activities for kids and fitness ideas for busy moms. Describe your blog in five words. Motherhood: Authentic. Honest. Helpful. Fun. My post on how to make an Elsa cupcake dress is a longstanding popular post. It looks like Frozen fever is still going strong! Plus, who doesn’t love cupcakes?! My top post for 2015 was The Top 5 Yoga Poses for Breastfeeding Moms. Most of my readers are young mothers, so I really try to provide tailored information that’s useful for this particular stage of life. The post has wonderful photos that really demonstrate how to properly do each move. It’s a great resource for moms! Instagram is my favorite by a long shot. It’s quick, easy, and I absolutely love getting a glimpse into other people’s lives! Plus, it’s great to look back at my own account and see all of the fun memories I’ve captured over the years. You would find me in quiet corner at Scooters splurging on a turtle latte and a giant chocolate chip cookie. Being properly caffeinated is a must for writing! Oh this is hard! We always make a stop by the Henry Doorly Zoo and the little ones love hitting up the Omaha Children’s Museum. I’d have add in brunch at Over Easy because that’s my new favorite breakfast spot! 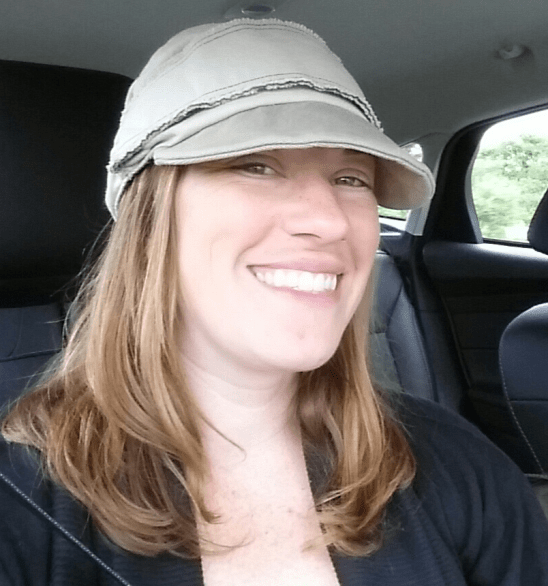 Joanna Murnan is a stay-at-home mom to two little girls and the blogger behind Makingmine. Her blog chronicles her adventures through motherhood with posts about fun activities to do with kids, her favorite recipes, and how she tackles fitness with two kids in tow! 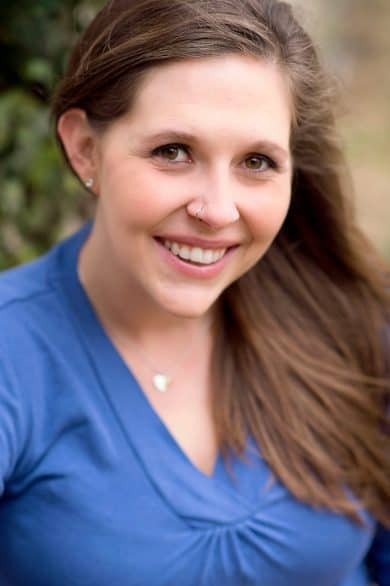 She loves savoring life’s “messy mom moments” and wants to help other moms embrace this wonderful stage of life. Kim’s note: This is the 19th installment in a series introducing different voices from around Omaha. Each week Whenever I can, I’ll introduce a different Omaha blogger, what his or her blog is all about, and since I love getting recommendations as much as I love giving them, I’ve asked each person to share some Omaha tips. 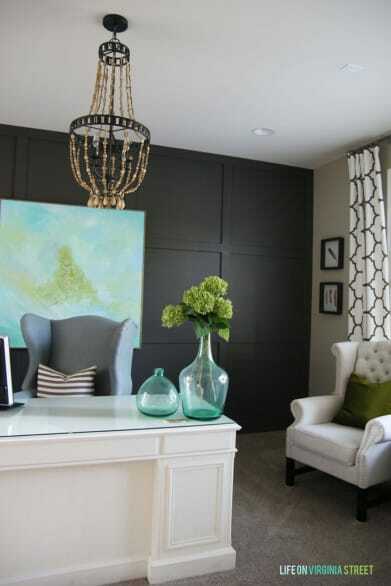 Today’s blogger, Sarah, remodels rooms and pretty much designs a home I dream of. I think you’re going to love her style, so check her out! From a Pinterest traffic perspective, my 30-Minute DIY Artwork has been one of my top posts of all time. I love the project, but I’m also surprised (and a bit encouraged) by just how many people are interested in making their own artwork! As far as a reader favorite goes, I recently completed a full guest bedroom makeover with hayneedle. Not only was the makeover one of my favorite projects to date, but I loved working with a local home decor company! I think it was so popular because achieving a high-end look doesn’t require you to spend a fortune, and readers love to see projects that can easily be achieved in their own spaces. It’s probably a tie between Instagram and Pinterest. I’m currently obsessed with Instagram, but Pinterest is my largest traffic referrer so I spend a lot of time on it, as well. Since both are highly visual, they work best in the home decor niche and also serve as major inspiration for me personally and on the blog. Honestly, my home office. I am super old school and don’t use a laptop. I prefer my PC and the quiet of my own home! 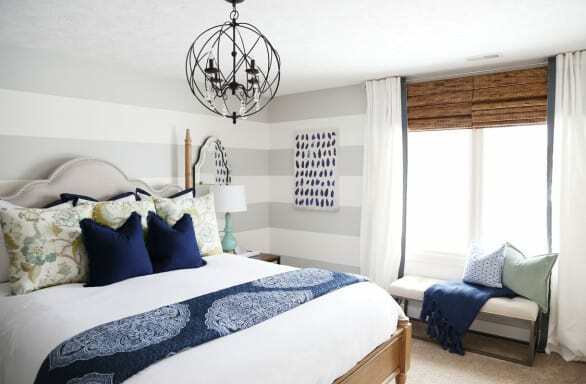 The room is also one of the first full makeovers my husband and I did in our current home and virtually every item in the space was a DIY project. It reminds me exactly why I started the blog and motivates me to push forward, even if it feels like I’m working a second full-time job most days! Upstream at Legacy because we love the craft beers and the friendly staff. The zoo, because it feels wrong not to take visitors there. The Old Market for food and shopping – because you can’t be the ambiance! I love weekend drives with my husband around Omaha checking out houses,landscaping ideas, etc. There are so many charming neighborhoods in Omaha and it’s fun to wander and notice all the small details! It’s always fun to explore new developments, as well, and check out the new housing trends making their way into Omaha. 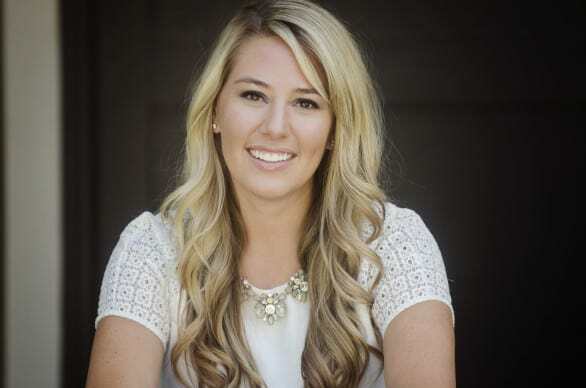 Sarah was born and raised in Salt Lake City, Utah, and moved to Omaha for graduate school in 2012. She’s an insurance executive by day and a blogger/DIYer/home decor enthusiast by night/weekend/every other waking minute. Kim’s note: This is the 18th installment in a series introducing different voices from around Omaha. Each week Whenever I can, I’ll introduce a different Omaha blogger, what his or her blog is all about, and since I love getting recommendations as much as I love giving them, I’ve asked each person to share some Omaha tips. Today’s bloggers are a husband and wife duo share their love of food and cocktails with readers. Their tempting photos almost make me want to take up drinking a night cap just so I can have a glass of something that looks so pretty. What are the two most popular posts on your blog? 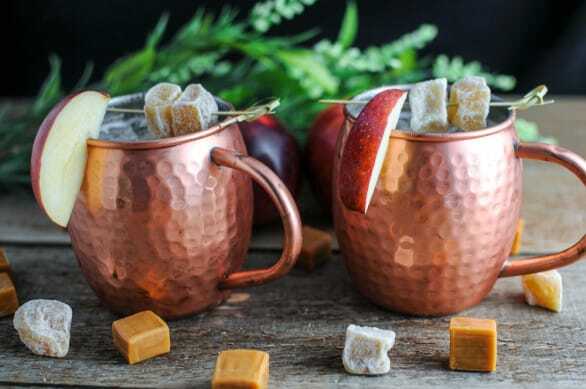 Jay and Leah’s Caramel Apple Moscow Mule looks almost too nice to drink, but you’re going to, aren’t you? Photo courtesy Gastronom. Our Caramel Apple Moscow Mule. It is a quintessential fall cocktail that combines a lot of great fall flavors, and plus, it just tastes good! The Omaha blog Gastronom combines recipes with gorgeous photos. Photo courtesy Gastronom. 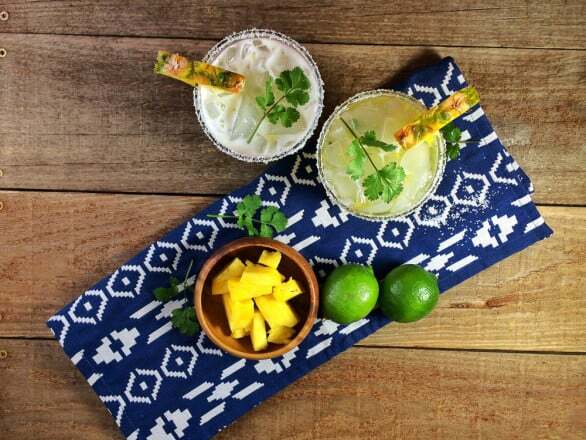 It’s such a great summer drink, and so fresh and light, it works for everyone (that likes cilantro)! It’s a toss up between Facebook and Instagram. Facebook is such an easy way to communicate with people, but Instagram is so fun to see all the pictures and snippets of peoples’ lives! In all honesty, the basement or kitchen at our house! We have two little boys and don’t have a lot of time to write together except at night when they are asleep! The Henry Doorly Zoo, because let’s face it, we have a super amazing zoo! If they are foodie types, we would take them to a number of our favorite bars and restaurants in the Old Market and Benson. The third place would potentially be just in our own backyard, as we have a swimming pool, and can whip up some amazing cocktails to go with the time in the sun! The Farmer’s Market, either in the Old Market on Saturdays or at Aksarben on Sundays. We always find great local produce and products every time we go! 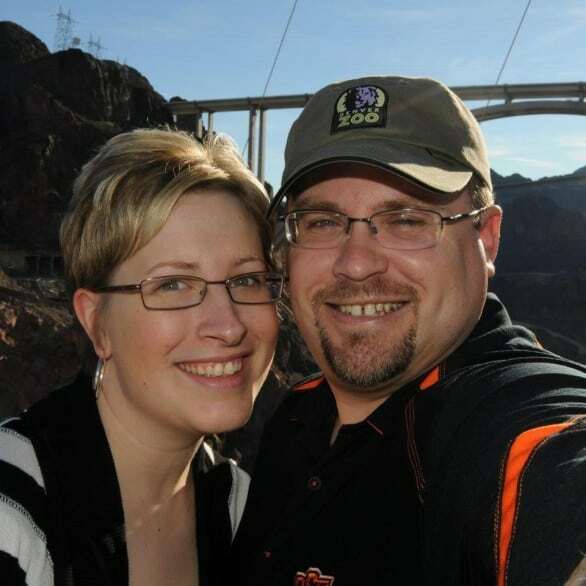 Jay and Leah, the due behind Gastronom. Husband and wife team that share our love of food and cocktails through our blog! We have lived in Omaha for 13 years, since graduating college. We have a love for all things local, be it food, restaurants and events. Kim’s note: This is the 17th installment in a series introducing different voices from around Omaha. Each week Whenever I can, I’ll introduce a different Omaha blogger, what his or her blog is all about, and since I love getting recommendations as much as I love giving them, I’ve asked each person to share some Omaha tips. 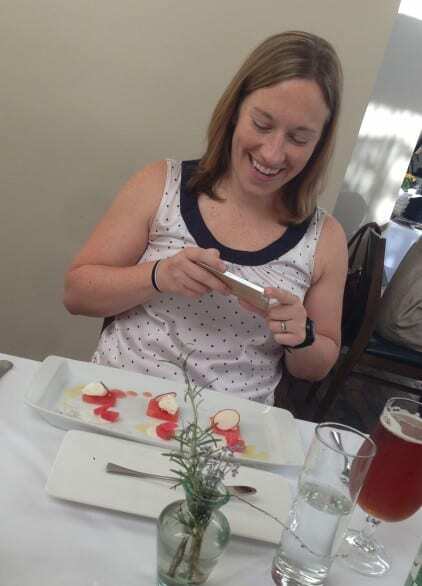 Today’s blogger, Sarah, is all about good food and she shares her finds on her blog and on Yelp. Hope you enjoy getting to know all the bloggers from Omaha! Eating and writing about restaurants. Sarah doing what food bloggers do best. One is like the ultimate summary post of my favorite Omaha restaurants… What’s not to love about that?? The other is information about Yelp check-in badges for mobile. When I posted this there wasn’t a lot of information online about them. Facebook, because I’m old-school apparently. I also love Instagram and will admit I’m a little AWOL when it comes to Twitter. Legend Comics and Coffee. Buy comics, drink coffee, and have lunch at J. Coco after! Depends on their tastes… Let’s say The Grey Plume, Sushi Japan, Block 16. Walking around my Dundee neighborhood. Or, any number of free Yelp Elite events I’m fortunate to attend! Sarah, the food-lover behind the blog, Sarah Eats Omaha. I’m just a food fan. A lover of all things delicious. A self-labeled gastronome. And, by others definition, a foodie. I started this blog to share some of that love with the world. Want to be a featured Omaha blogger? Send me an email at ohmyomaha (at) gmail (dot) com!